The 6ft Yellow Sky Dancer attachment from SkyDancers.com is the inflatable advertising product with the bright yellow color, wavy dancing motion, and friendly face. 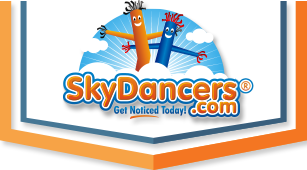 Whether indoors or outdoors, this life-sized 6ft Yellow Sky Dancer from SkyDancers.com will be sure to attract that extra attention and foot traffic that every busines or event can use. Trust the leader in inflatable advertising product with a Sky Dancer from SkyDancers.com.